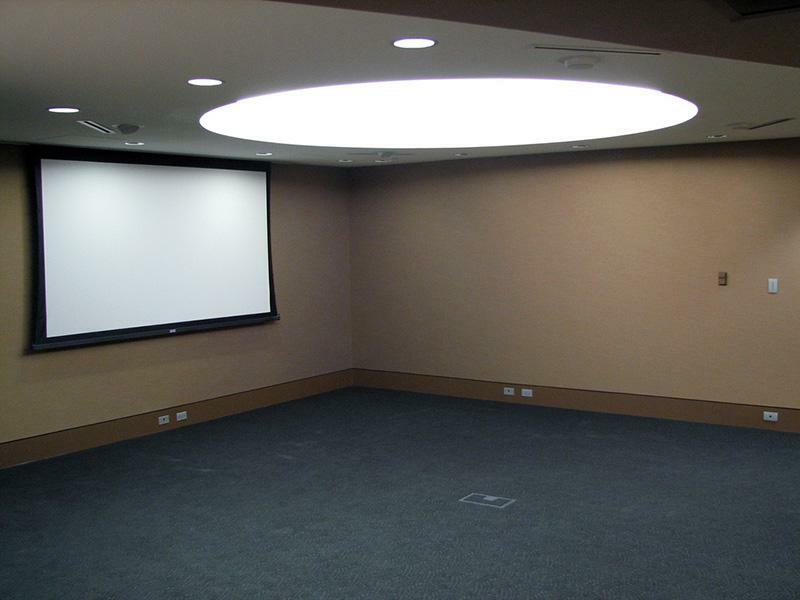 This private space has surround sound and high quality projection capabilities perfect for training seminars. The flexibility in setup also allows for small meal functions or high-tech receptions. Built-in audio-visual system includes a large presentation screen, data/video projector, and lighting controls. Credenza inside main entrance allows for storage, handouts, or food & beverage setups. Pre-function activities can be accommodated in foyer area immediately outside room. Courtney S. Turner was an Atchison businessman and philanthropist. Before he died in 1986, he pledged to use his financial resources to help Atchison and other communities, and the Courtney S. Turner Charitable Trust was established. In the recent past, the trust has benefited Veterans Memorial Park in Atchison, Northeast Kansas Technical College, the Atchison County Historical Society, and the Atchison Santa Fe Depot.